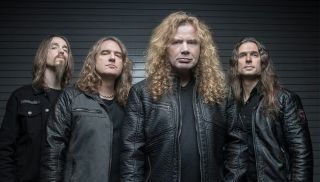 Megadeth have announced the initial lineup of bands for their inaugural 2019 Megacruise. Among the acts that will be playing alongside Megadeth are Anthrax, Testament, Corrosion of Conformity, Devildriver, Doro, John 5, Armored Saint and Beasto Blanco. The Megacruise will take place aboard the Norwegian Jewel on October 13-18, 2019, leaving from the Port of Los Angeles, with stops in San Diego and Ensenada, Mexico. According to the official website: “While there are dozens of daily performances by our featured artists, that’s just the beginning of the fan experience. Quite simply, the Norwegian Jewel will become the home of artists and fans, interacting in many different ways throughout the five-night voyage. “You might happen to bump into one of your faves at one of the Jewel’s many watering holes, or possibly share a moment at the Charity Auction…this is truly a once-in-a-lifetime experience..
For additional information on Megacruise, including booking, pricing, itinerary and more, head over to Megacruise.com.